I was checking my email this morning and Glen from TheGriefToolbox.com had written me, informing me that both of our websites had been named on the “Best of 2012: GoodTherapy.org’s Top 10 Websites for Grief and Loss” list ! I’m on there with other national organization websites!! This is so cool. 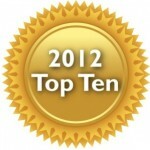 This is an incredible honor and I’m so deeply thankful to GoodTherapy.org for naming my blog one of the 10 best resources on the Internet in 2012 for people experiencing grief and loss. I’m also so thankful to all of you who continue to read my blog and share with those who you know need it the most. Here’s the full list of the top 10 best resources, all of which I highly recommend checking out. Grief has many causes and can manifest in many ways. Whether it’s triggered by divorce or separation, illness, trauma, or death, grief is a normal part of human experience. However, coping with grief can be extremely challenging; if grief is intractable, the support of a mental health professional may be needed. In fact, the upcoming fifth release of the Diagnostic and Statistical Manual of Mental Disorders (DSM-V), used by mental health practitioners to diagnose and treat a wide range of issues, does more to acknowledge the link between bereavement and depression than any DSM before it. Acknowledgment of the profound effects of grief and loss isn’t enough, of course. More must be done to point grieving people toward resources that can help them cope and heal. According to the National Institute for Mental Health, only 10% of grieving people will ever seek professional help. While GoodTherapy.org is at its core a directory of therapists committed to treating issues such as grief and loss, it is also a comprehensive resource for people seeking mental health treatment and information. It is with that in mind that we selected the 10 best resources on the Internet in 2012—GoodTherapy.org excluded—for people experiencing grief and loss. Among the criteria we used to select our top 10 websites are quality and depth of content, presentation, and functionality. The Compassionate Friends: A nationwide nonprofit organization, The Compassionate Friends is designed to support and give resources to families who are coping with the death of a child. In addition to its wealth of information about healing grief, TCF holds national and regional conferences, facilitates online and in-person support groups for grieving families, and broadcasts a weekly web-radio series. Grieving.com: Grieving.com is a forum resource for people to connect with others and share stories of loss and healing. The forum has more than 45,000 active members and features topics ranging from terminal illness and sudden death to the loss of a pet. MISS Foundation: The MISS Foundation is a volunteer-run nonprofit organization that supports people of all ages through the process of grieving the death of a child. Among the offerings are discussion forums, educational resources, biannual conferences, and local support groups, and grieving visitors can connect with a HOPE (Helping Other Parents Endure) mentor for individualized support. Recover From Grief: Recover From Grief provides valuable information about the grieving process as well as coping strategies. Site visitors can view a comprehensive “grief guidebook” and participate in a seven-part grief work e-course. Recover From Grief also provides a space to create memorials for loved ones or tell personal stories, and offers a “grief relief” audio program. The Grief Toolbox: The Grief Toolbox is a comprehensive resource for people experiencing grief. Articles, other resources, and an online art gallery help support individuals in the grieving process. The Grief Toolbox also provides a support group locator. National Alliance for Grieving Children: The National Alliance for Grieving Children is a nationwide platform that connects professionals, consumers, and volunteers whose mission is to support children and teens through the grieving process. NAGC offers online education, a searchable support group database, and hosts an annual symposium about child grief. Navigating Grief: Navigating Grief is an online community established by Joan Hitchens, author of Storybooks for Healing and A Caregiver’s Blog. Hitchens is a member of the Association for Death Education and Counseling (ADEC) and National Hospice and Palliative Care Organization (NHCPO). Navigating Grief provides educational tools and insight into the grieving process from Hitchens’ personal experiences as a hospice volunteer, widow, and caregiver. Site visitors can also find teleseminars, webinars, and blog posts by professionals to support grieving individuals. Bereaved Parents of the USA: Bereaved Parents of the USA connects grieving parents with other bereaved parents, grandparents, and siblings for one-on-one support. The site offers a newsletter, articles and poems, and many resources and links for grieving families to guide them through the grieving process. It also hosts an annual gathering where bereaved parents can share their stories with others and participate in grief workshops. 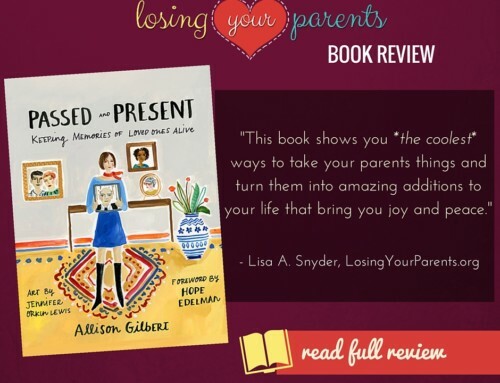 Losing Your Parents: Losing Your Parents is a personal blog by Lisa A. Snyder, who lost both of her parents by the age of 27. 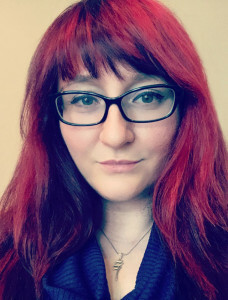 Snyder connects grieving children through blog posts, a free e-book titled The Last Words Ever Spoken, and many other online resources. Losing Your Parents also accepts guest posts for others to share stories of grief and healing. FriendGrief: FriendGrief is a personal blog, operated by author Victoria Noe, specifically designed to support people who have lost friends. Noe writes extensively about the differences between losing a friend and a family member, and provides space for guest bloggers to share their experiences of mourning the loss of a friend. I lost both parents to cancer at 22 and 27. Let's talk about stuff that's hard, ways you can move forward in your life and how to get to a more peaceful place. My intention is to connect other adult orphans; those of us who have lost our mothers, our fathers or both parents, at any age, through the arts, life experiments, looking inward and turning pain into something positive. Read more about me. Help me turn Losing Your Parents into a non profit! Do you have a tattoo to remember your mom or dad? I want to meet you!